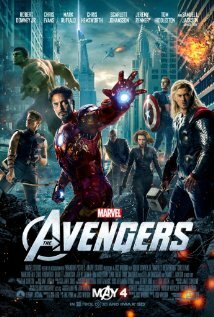 The Avengers picks up right after the events in the previous Marvel films: Thor, Iron Man 2, The Hulk and Captain America. We find out what happened to Loki after he was lost into the abyss. He has found some mysterious alien allies and he is angry and out for revenge with the goal of total world dominance. Loki manages to steal the tesseract from a S.H.I.E.L.D. research facility, brainwashing several agents to work for him in the process. The director of S.H.I.E.L.D., Nick Fury activates the Avengers Initiative and brings together the heroes we know so well: Tony Stark, Dr. Bruce Banner, Steve Rogers, Thor. Now it is up to the team to find Loki before he can use the tesseract to open a portal and unleash his army upon the Earth. If you loved any of the previous films, this movie will blow you away. You have to see the previous movies to really appreciate the full extent of the story. The heroes are amazing together and the movie was non-stop action. Each hero gets his time to shine as well and show off their own unique abilities. I really love Tony Stark. He is funny, witty and he continues to be the same in this movie. He makes a serious situation funny and the audience loved that as well. I demand more Tony Stark and Pepper Potts! Oh wait, there's going to be an Iron Man 3! Woohoo! The movie had great action scenes with amazing visual effects. The huge flying alien creatures definitely impressed me. 3D or 2D? Save your money and go with the 2D. There were a few moments of 3Dness in the beginning but then they seem to forget that they could do 3D effects.